Keep Away is the best soccer passing game that is used by clubs and players of different age and skill level all around the world. 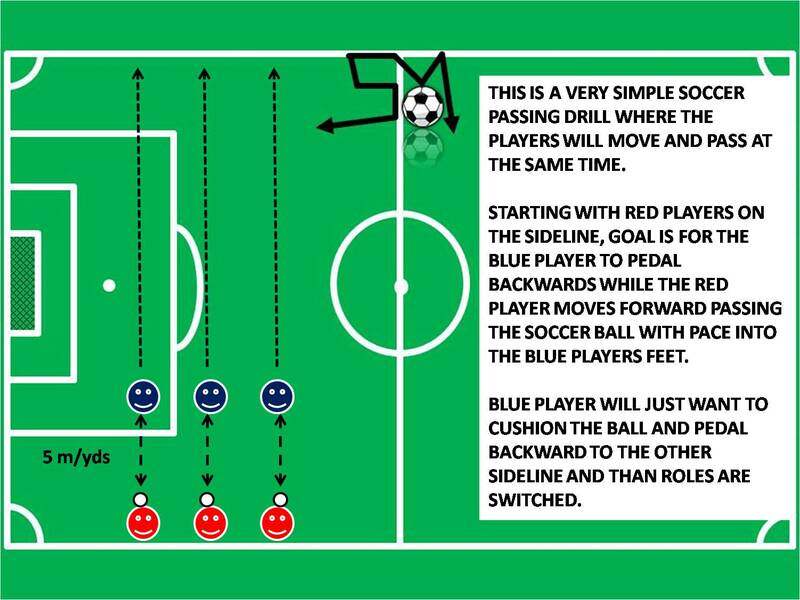 Simple to explain and easy to understand, players move around the grid at different pace, passing the soccer ball, and trying to keep it away from the defenders, or chasers. This soccer game can be done with friends as well. 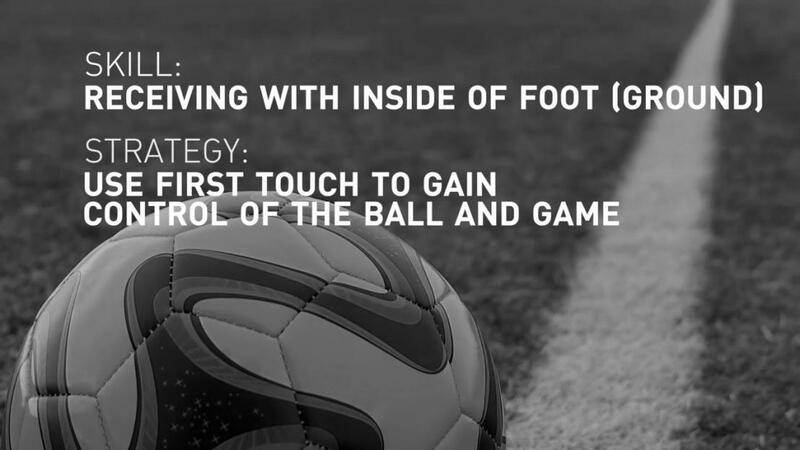 It will develop the players first touch on the ball, quick thinking, passing, dribbling, getting out of tight spaces, and other game related skills. No cones, coaches or any equipment. Just a soccer ball and a minimum of 3 players needed for a game of soccer keep away. Coaches should encourage Keep Away outside of practice. Place 4 cones to make a square 5 - 20 m/yd all around (depending on player age and skill). Split up players into groups of 3 - 5 players. Every group should have 1 or 2 more passers. For 5 players, choose 4 passers and 1 chaser, or harder option, with 3 passers and 2 chasers. Each group will take one soccer ball. First pass is always FREE. Once the second player touches the ball, 1 or 2 players inside the square will attempt to cut off the pass by chasing and trying to intercept a pass. If the pass is intercepted, or kicked out of bounds, the player who last touched the ball will switch roles with one of the chasing players. Keep Away can be started with unlimited touches. Limit touches when the players are comfortable with the ball at their feet. If the ball leaves the square, player who kicked the ball out will take the role of a chasing player. 10 - 15 consecutive passes earns the chasers of the ball some pushups, sit ups or one extra turn in the role of chaser/defender. Passes through the legs of the chasers/defenders can add an extra turn chasing. Split passes in between 2 chasers can be punishable by an extra turn for both players. Use hands to play this game. Develop space coordination using simple passes with hands and keeping the soccer ball in the air, and inside the square. 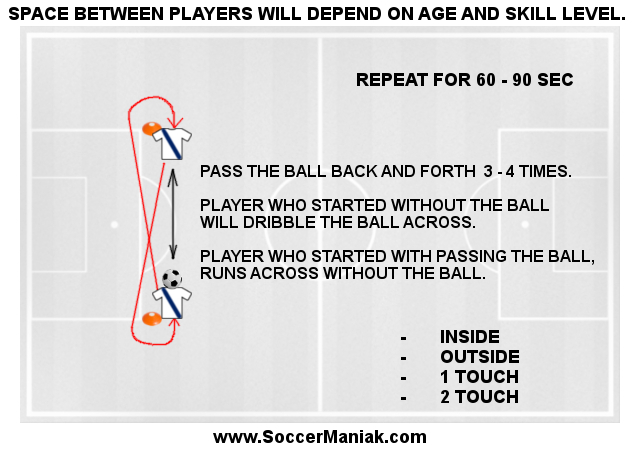 Same rules apply with players passing the ball, and defenders chasing to block a pass. If a pass is thrown outside of the square, the player that threw it will change roles with the chasing player. Hands are used to block the pass.